PHP Development Services offer scalable, interactive & custom PHP solutions for custom applications, dynamic websites, eCommerce development, CMS development and more. Our experienced PHP developers leverage their domain expertise to offer fully customizable web applications in PHP using industry best-practices and latest frameworks. 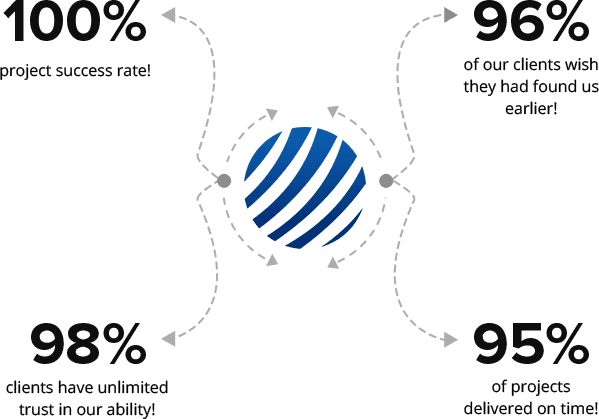 We follow agile methodologies in our PHP development process to create a dynamic PHP environment for delivering creativity and excellence in our projects. PHP Development offers feature rich websites with fast data processing, increased efficiency, secure and stable interface. Yii / Yii2 is a high-performance, object-oriented web application framework written in PHP. Yii was formally released in 2008 and is used to develop large-scale web applications at a breathtaking speed. It is one of the fastest, secure and professional frameworks available. CakePHP is an open source web application framework written in PHP whose origins date back to 2005. It follows the Model-View-Controller (MVC) approach and many concepts of Ruby on Rails. It is one of the most praised, simplest and fastest frameworks available. Laravel is regarded as one of the most popular open-source PHP web application frameworks. Laravel was only released in 2011 and has proven to be a very clean and classy framework aiding developers to create powerful applications using simple, expressive syntax. 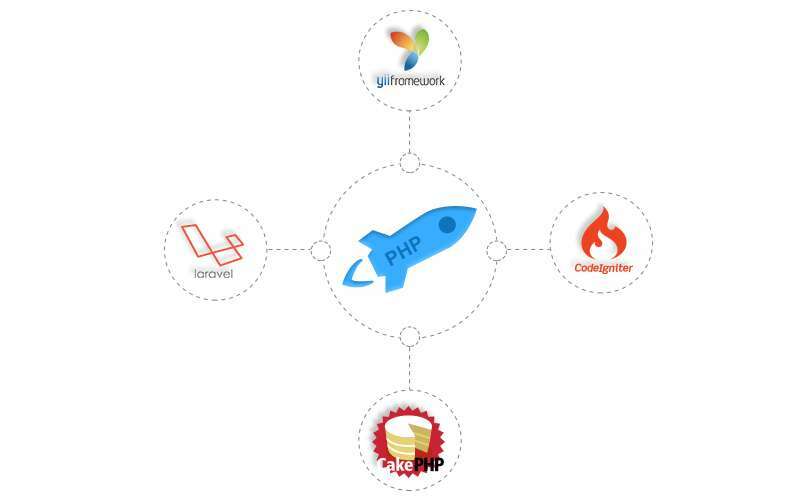 CodeIgniter is yet another powerful open-source PHP framework with a small footprint that is loosely based on the popular MVC development pattern. CodeIgniter is fast and light-weight, built for developers who need a simple and elegant toolkit to create a feature-rich web application.